All photography by Richard Glover, design statement by Geyer. This project is shortlisted in the Public Space Category of the 2016 IDEA Awards. The winners will be announced at the exclusive IDEA Gala Party on 18 November at Dockside Pavilion, Sydney. To join us for a night of celebration with this year’s winners, click here to secure your discounted Early Bird tickets. 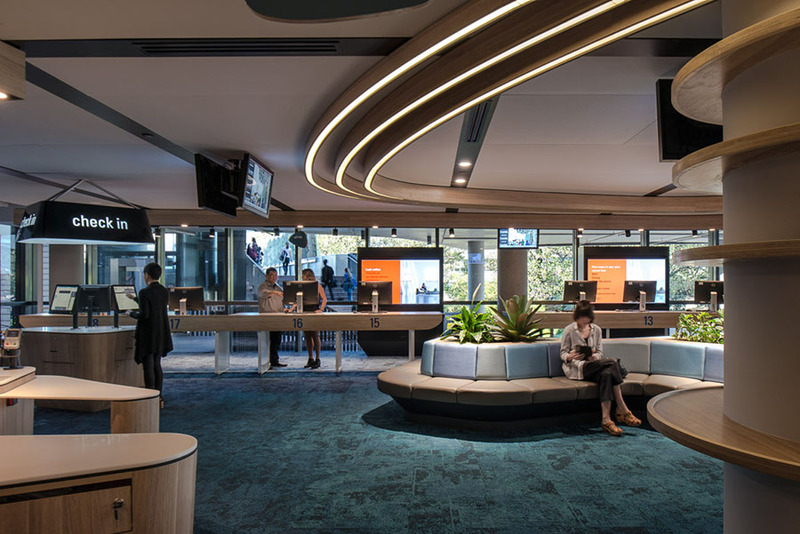 The University of Sydney Student Administration Services Centre sought a transformed student services experience. The new space supports unexpected spatial experiences encouraging new exchanges between students and staff. Adopting innovative technologies enables student self-service capabilities, integration of a contact centre and elevation of a centralised in-person service capability. The University of Sydney required a high performing student administration service (SAS) to manage the student lifecycle from enrolment and throughout student candidature. The new space delivers an open and collaborative service experience that is professional and supportive to the students. Historically used for traditional student processing, the site was challenging due to traffic flow, peak period crowding, noise and discomfort, and highly institutional work practices. 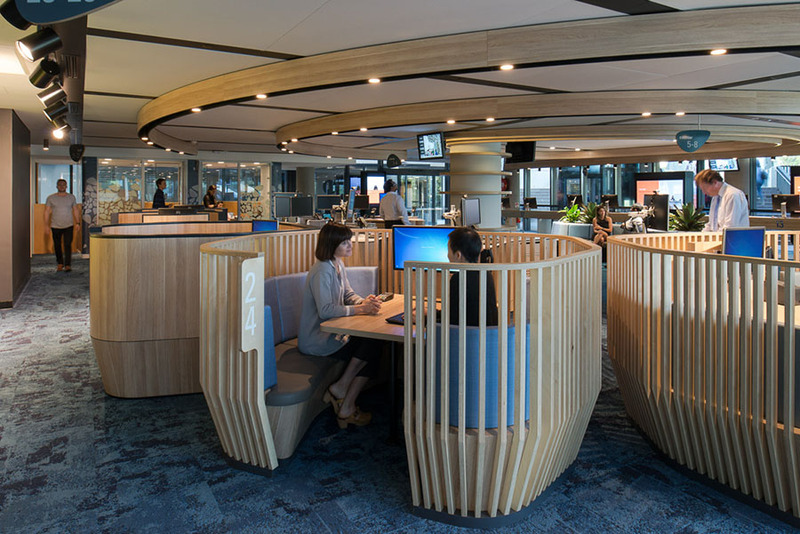 The opportunity presented to build coherency into the student experience through integrating new work models supported by technology, and humanising the user experience through spatial elements and materials. The design allows standardisation and enhancement of existing business processes; transition to centralised services delivering in partnership with faculties; technology enhancements including extension of online services, workflow, case management; enhancements to core administration systems and the SAS facilities. 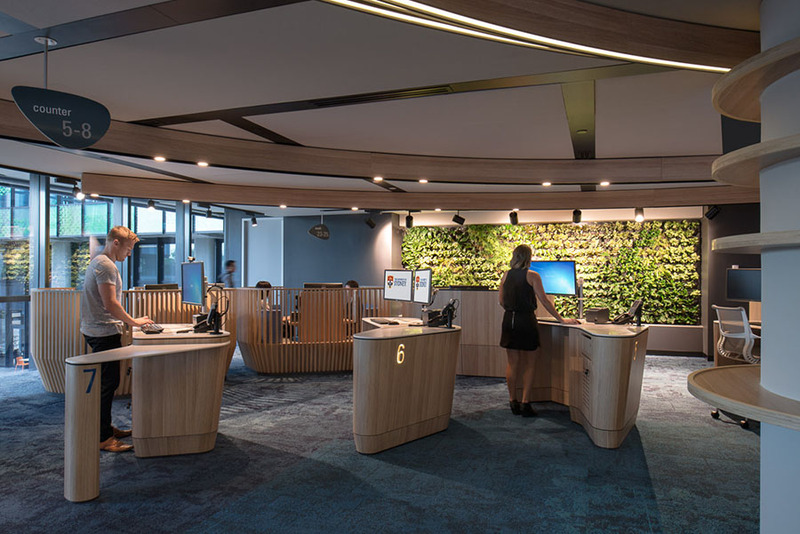 The dynamic space meets students’ needs via; a concierge function, queue management incorporating mobile technology, open plan self-service or coached service and dedicated one-on-one interview facilities. Using bespoke, technology enhanced work settings to provide a range of private and semi-private meetings negates the need for built spaces. 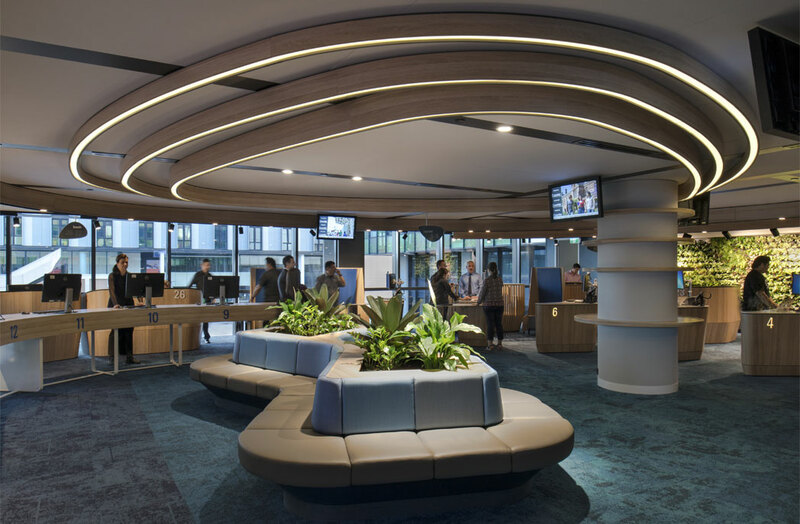 Dissolving traditional back and front of house functions resulted in an open and undulating landscape promoting transparency between students and staff.